Independence has proven himself to be our go-to calving ease heifer bull. We have carcass ultrasounded 41 progeny that ratio 104 for marbling. His udder score EPDs are off the charts, ranking him #3 of all active sires! Genomically Enhanced EPDs. Homozygous Polled. Pictured at right is Lot 41 Bar JZ Freedom 289E, an Independence son, who will sell on 2/20/18. 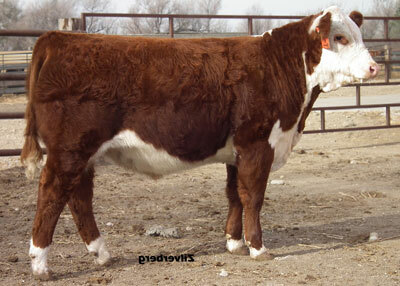 Bar JZ Glory 946A, a fancy Independence daughter that sold in the 2013 SDHA Excellence Sale to Jon & Mary Stangeland. 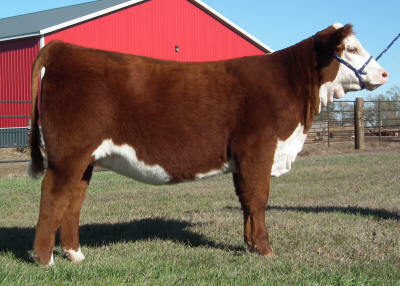 Bar JZ Freedom 065Z, the high selling bull in our 2013 Production Sale, sired by Independence, sold to James Massa.